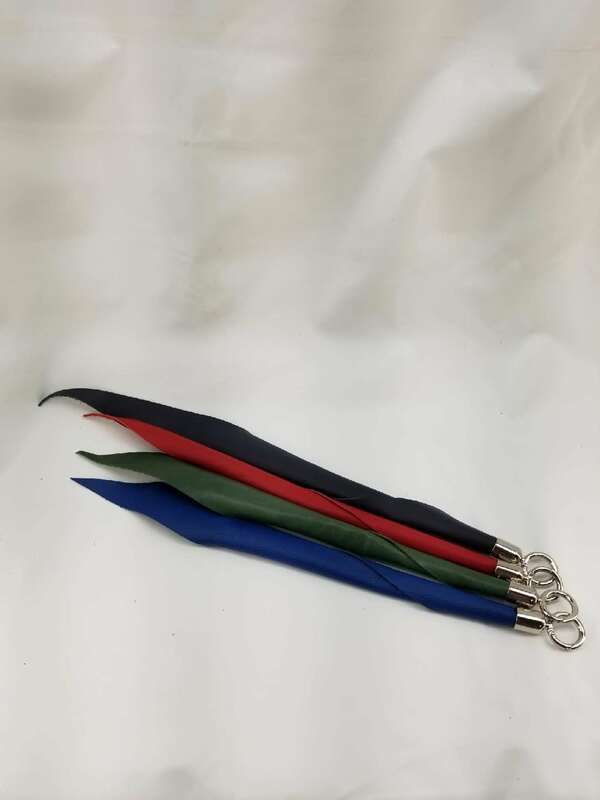 Finger Floggers are very versatile especially for players with joint issues. May be used as a pair for Florentine play. 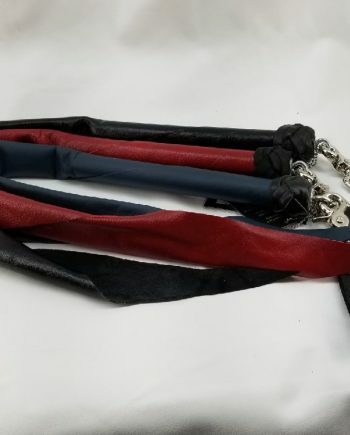 Each flogger sold individually. Order two for a matched pair. These items are beautifully balanced and fly wonderfully with little effort or education. 4 weeks from time of order for shipment as these are custom made per order. 24” tails with turks head decoration and detachable finger loop handles. Use a damp not wet Clorox wipe. Make only 2-3 passes over the tip end on the flogger or whip. 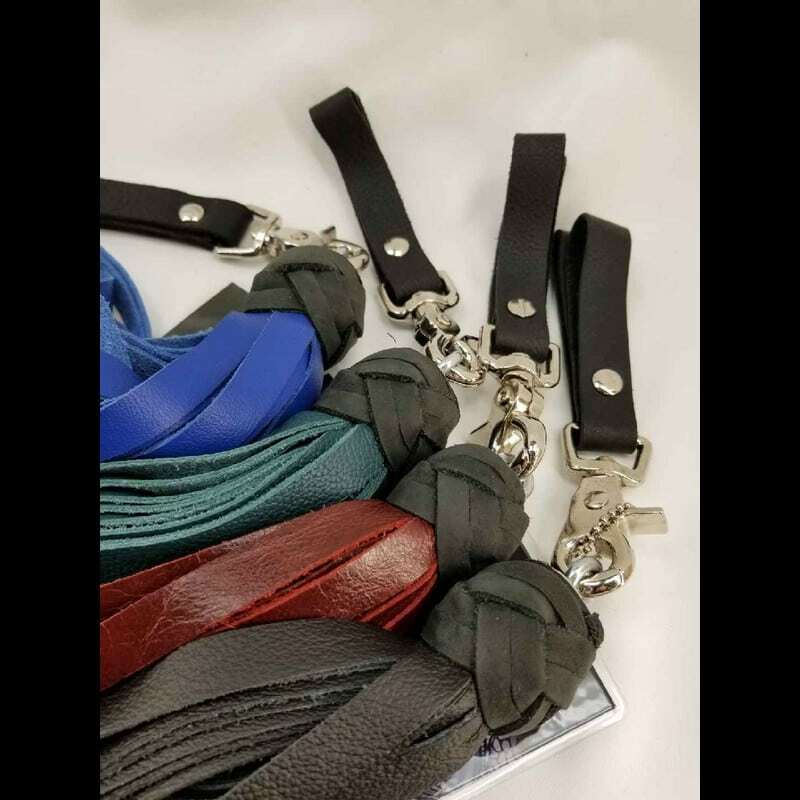 More will cause discolored and damage to the leather.